Andradite is a fairly abundant, although less-known, member of the ugrandite garnet species, which also includes uvarovite and grossularite. Andradite makes spectacular gems that display greater color dispersion than diamond. 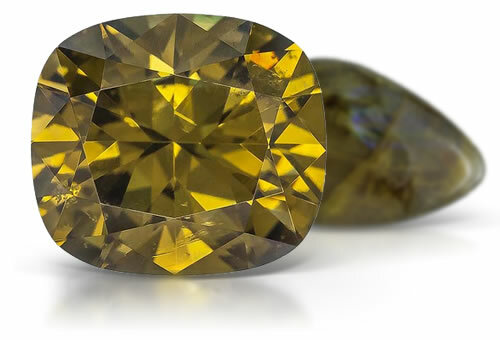 Topazilite is the translucent to transparent variety that is yellow, yellow-green or yellow-brown in color. Melanite is the opaque black variety that is subadamantine to vitreous luster. Demantoid: green to yellowish green and brownish green variety. Andradite garnet is a type II clarity stone. Due to low mohs hardness stones might show surface abrasions or scratches.